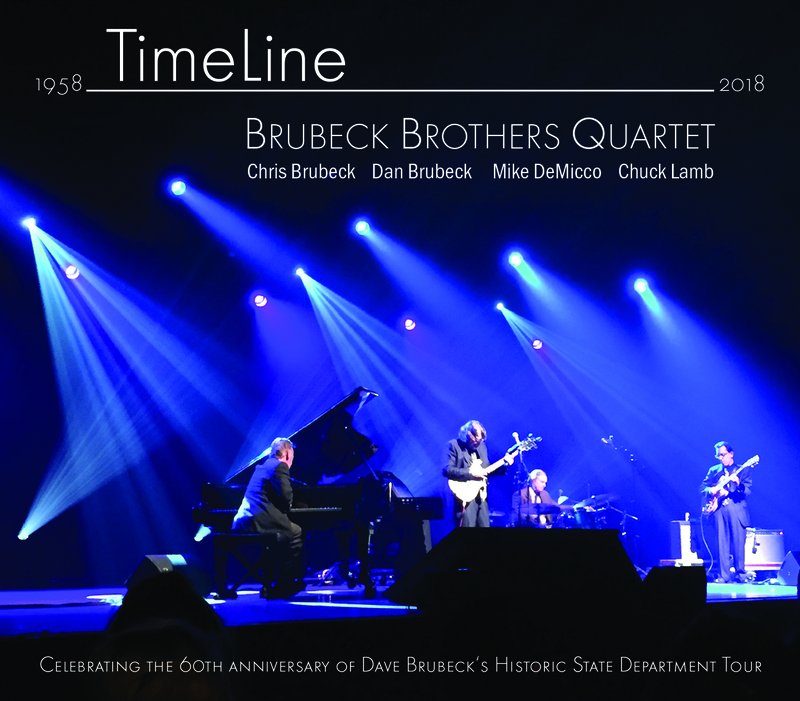 The new Brubeck Brothers Quartet cd, TimeLine, will be out in mid-March in time for the Brubeck Brothers Quartet’s March & April tours. With this CD, the Quartet celebrates the 60th anniversary of Dave Brubeck’s Historic State Department Tour. This new recording includes freshly re-arranged tunes written by Dave at the time of the 1958 tour as well as compelling new originals by the BBQ.